Le Fashion Truck: Get the Look - Cotton Lace for Spring! 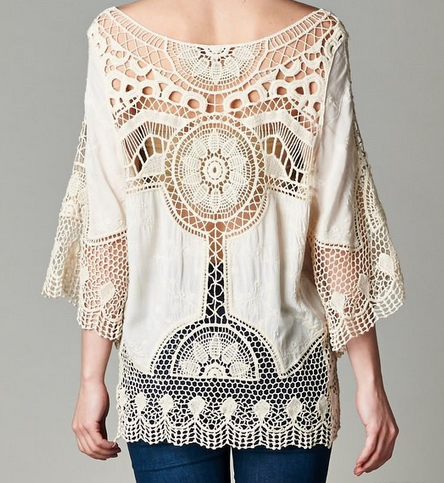 Get the Look - Cotton Lace for Spring! There's something about cotton lace that's just perfect for spring! 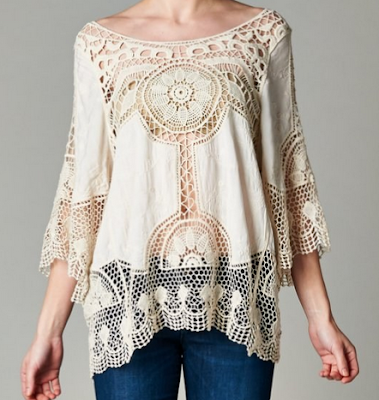 The Ethereal Lace Top is a great staple piece that polishes up any outfit and transitions perfectly into summer. Pair with a fun print palazzo pant or your favorite denim. $34. Available in S/M and M/L.